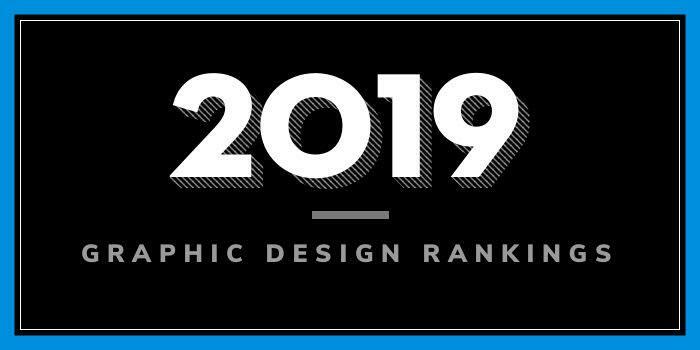 Our 2019 rankings of the Top 25 Private Graphic Design School Programs in the US. We considered 433 colleges with graphic design programs for this year's rankings. For an explanation of ranking criteria, click here. The University of the Arts (UArts) is the nation’s only comprehensive arts university. The school, which traces its roots back to 1868, is home to around 1,800 students enrolled in 47 undergraduate and graduate programs through the College of Art, Media and Design, the College of Performing Arts, and the Division of Liberal Arts. The College of Art, Media and Design houses the School of Design, which offers BFA degrees in Graphic Design and Design, Art + Technology, an MFA in Printmaking + Book Arts, and Minors in Book Arts, Typography, and Multimedia. 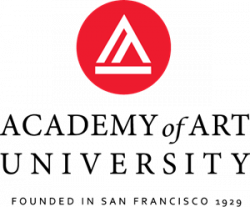 Founded in 1914, Cornish College of the Arts offers Bachelor of Fine Arts degrees in the performing and visual arts and a Bachelor of Music degree, multiple public programs, and extension courses. The school, which serves more than 700 students, offers a BFA in Design. This interdisciplinary program provides the training needed to create experiences, explore or draw comics, illustrate, make posters and products and packaging, work in motion design and design for social activism. The program covers Type + Image, which includes Branding, Graphic Design, Illustration, Poster Design, Printmaking/Bookarts, Product Packaging, Publishing, and Typography. The Narrative Systems portion of the program covers 2D Animation, 3D Modeling, Brand Storytelling, Game Design, Graphic Novels, Motion Graphics and Video. The User Experience component covers Brand Experience, HoloLens, Information Architecture, Information Visualization, Prototyping, User Research, VR, Wearables, and Web Design. During the senior year, students will complete a capstone project (the Degree Project), in which all of the student’s skills in honing design process, systems thinking, creative planning, and hand and digital skills come together in an exhibition at the end of the year. Study for the program will include Editorial and Publication Design, Event and Exhibition Design, Interactive and Motion Graphics, Print, Marketing, and Advertising Design, and Production. As part of the design environment, students will also “collaborate with Industrial Design and Interior Design students on projects and in the classroom.” These opportunities as well as the integrated curriculum help students “build valuable communication skills and develop techniques” for presenting their ideas and final projects. Graduates of the program will be prepared to seek positions such as Graphic Designer, Associate Partner, Film Director + Writer, Fashion Designer, Entrepreneur, Art Director, Web Designer, Book Designer, and many others. Founded in 1853, Washington University in St. Louis serves around 15,400 students from 90 countries and all 50 states + the District of Columbia, Guam, Puerto Rico and the Virgin Islands. The university houses seven schools including Arts & Sciences, the Brown School, Olin Business School, the School of Law, the School of Medicine, the School of Engineering & Applied Science and Sam Fox School of Design & Visual Arts. Sam Fox School of Design & Visual Arts consists of three units—the College of Art (est. 1879), the College of Architecture (est. 1910) and Mildred Lane Kemper Art Museum (est. 1881). The College of Art houses the Communication Design major, which leads to a BFA. This collaborative, 128 credit hour program explores disciplines across art and design, selecting from introductory courses in graphic design, typography, illustration, fashion design, painting, photography, printmaking, and sculpture. Students will also take drawing, two-dimensional design, three-dimensional design, digital design, and a weekly lecture course (first year).